At Out West we sell parts and supplies for Japanese street bikes built from the 70's thru the 90's. We stock Honda, Kawasaki, Suzuki and Yamaha aftermarket parts along with some OEM. We try to stock some parts for bikes built in the 60's but every year those parts get harder and harder to find. Our catalog is growing! We add new hard to find parts every month. If there is a part you're looking for but can't find it in our catalog contact us and we'll do our best to add it to our inventory. 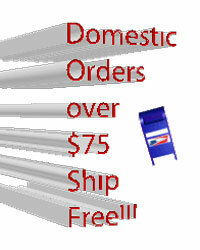 All of the parts and supplies we sell on this site are new. Any good quality used parts that come into the shop are sold on Ebay only. We will be adding parts and accessories for dirt bikes and ATV's soon. Again if you can't find something you need just give us a shout.